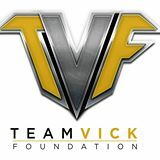 Team Vick Foundation is strengthened by an unwavering commitment to transforming lives of underserved young people, aging adults and families with a deliberate focus on Community Outreach, Life Skills and Leadership Development, as well as Nutrition & Wellness Lifestyles. Our goal is to create opportunities to form lasting and meaningful friendships through community ties and to strengthen family relationships. The official PR firm of the North Philadelphia Aztecs.